"after you login to TradeStation website you have been taken to this Client support ... ". Clients support (to download TS) is this page. - Advanced Parabolic SAR indicator is on this post. - AllAbsoluteStrength_v2 indicator is on this post. 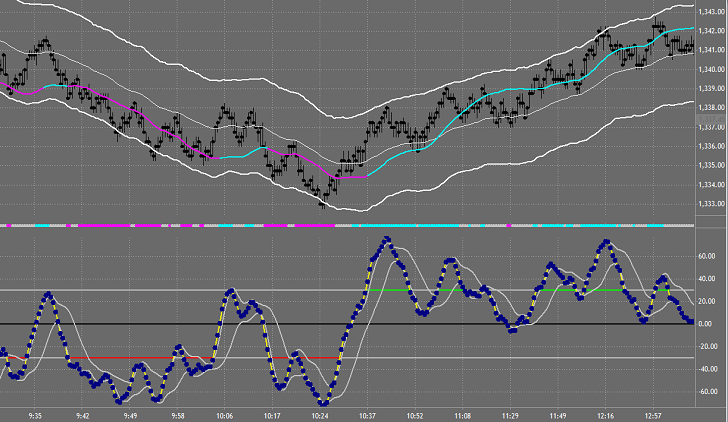 - AllAbsoluteDiffrence_v2 indicator is on this post. - AllAbsoluteStrengthTrend_v1 indicator is on this post. TradeStation is a solid brokerage to consider if you’re an extremely active trader. While I don’t consider myself an active trader by any means, there are many out there who are and some who even make a living by it. With that in mind, I thought a TradeStation review would be in order in the case you’re looking for a place to manage your investing needs. A bit of a background on TradeStation, they started in 1982 and are focused specifically on investors who trade actively on a number of spectrums from stocks, to options and futures/forex. They are also well known for their EasyLanguage program which allows users to create their own trading environment, generally speaking, that allows them to enhance how they invest. That said, TradeStation is not your average online brokerage but is geared towards a highly specific investing persona. To be completely transparent, I do not have an investing account with TradeStaion, but I have dealt with their customer service area on many occasions in my previous life as a stock broker as well as seeing their platform in action.They were always very professional, knowledgeable and willing to go the extra mile to serve the customer. With that said, let’s get on with the TradeStation review. Active Community: One of my favorite TradeStation features is their active community. I’m not talking the social media aspect like Betterment or Motif Investing offers, but a fully functioning forum community. This allows investors to openly discuss trading strategies and methods. I believe this is something that really helps TradeStation stand apart from others. Extensive Education Offerings: Most online brokerages offer some sort of educational offerings and TradeStation is no different. They offer the requisite free classes, live webinars and pretty much anything else in between. They also offer an academic program that is a bit unique to what other brokerages offer. Forex and Futures: Like Etrade and OptionsXpress, TradeStation offers Futures and Forex trading. While I don’t invest in Futures or Forex, this a great way to further diversify – if you know what you’re doing. They offer very competitive pricing, as low as $.25 per trade. Stellar Platform: Many of TradeStation’s clients are professional traders which means they must offer a solid platform to keep their clients happy. TradeStation has been awarded by Barron’s, amongst others, best platform for frequent traders and platform technology. Good Commission: If you know any active traders, they’ll tell you that a low commission price is essential and TradeStation does not disappoint. They have one of two commission options, in terms of stock trading. You can go with the flat commission structure that gets you as low as $4.99 per stock trade, or the variable route which is $.01 per share, up to 500 shares, and $.006 thereafter. The same goes with option trading as you can get as low as $4.99 + $.20 per contract or $1 per contract. This is very competitive for both stock and option trading. High Powered Platform: This is essential for TradeStation to offer with their specific niche. With the EasyLanguage program specifically, TradeStation has a solid platform that should take care of most investing needs. Strong Community: The aforementioned investing community that TradeStation has created is a huge benefit that they can offer clients. As it’s a forum style, you can get real time ideas and suggestions to manage your investing needs. Direct Routing: Not all brokerages offer direct routing, and those that do don’t really advertise it. That is not the case with TradeStation as they do promote it. What direct routing allows you to do is bypass the broker and deal specifically with a given market maker. This can be incredibly risky, to say the least, so make sure you know what you’re doing prior to jumping in to direct routing. Monthly Fees: The major issue I have with TradeStation is they charge a $99 monthly maintenance fee. Yeah, that is just a bit much. However, if you’re their target client this will never be a worry for you as they waive it for those who trade over 5,000 shares, or 50 option contracts in one month. While I don’t really like it, if you’re not their target market then you should likely be looking elsewhere to invest. Beyond that, they do have a $35 annual IRA fee that I don’t like, but you likely would not be actively trading this much in most IRAs anyway. Not Open 24 hours: The other major drawback I see with TradeStation is they’re not open 24 hours a day – as they’re open 8:30-6:30 EST Monday through Friday. This isn’t a terribly huge problem as quite a few brokerages operate in the same fashion. This could pose a problem if you’re a Futures or Forex trader, but I believe there are ways around it. I think for the right investor, TradeStation can be a great option to look at for your investing needs. If you’re a more buy and hold investor then you’ll likely be better served by looking elsewhere for your investment needs. I don’t like the fees, as who really likes paying fees, but the major one is moot if you are trading actively enough. There is also the point to consider that the platform does have a steeper than usual learning curve, going back to the customization behind it. However, most active traders you speak with will be used to this and again won’t be an issue if you’re in their target market. 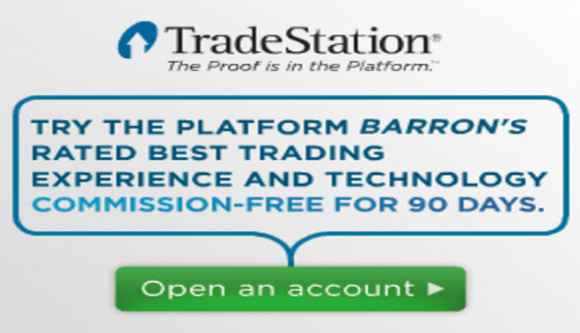 As with most other brokerages, TradeStation does offer promotions occasionally in order to earn your business – with the current one being free trading for 60 days after account opening. Just remember, as with any investing, make sure you know what you’re getting yourself into before making decisions about how to invest your money and who to invest it with. TradeStation is an online brokerage firm and trading platform. TradeStation Group, Inc. through its principal operating subsidiaries, TradeStation Securities, Inc. and TradeStation Forex, Inc., offers the TradeStation analysis and trading platform to active and institutional traders. The TradeStation platform, the company's flagship product first introduced in 1991, offers electronic order execution and allows users to design, test, optimize, monitor and automate their own strategies for equities, options, futures and foreign exchange markets. TradeStation Securities, Inc (Member NYSE, FINRA, SIPC, NSCC, DTC, OCC and NFA) is a licensed securities broker-dealer and a registered futures commission merchant, and a member of the Boston Options Exchange, Chicago Board Options Exchange, Chicago Stock Exchange, international Securities Exchange and NASDAQ OMX. 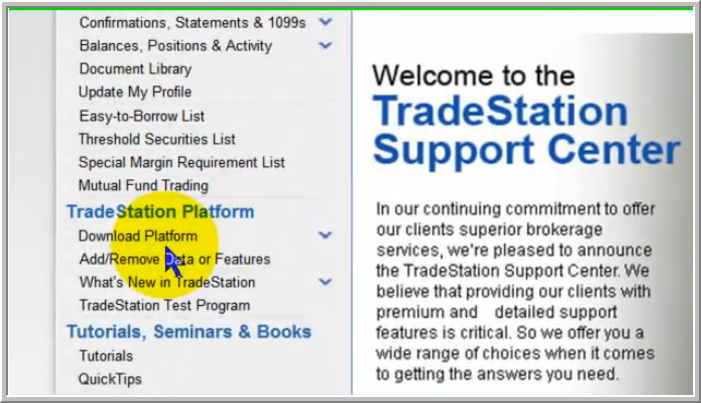 Traders must have an account with TradeStation in order to download the platform. 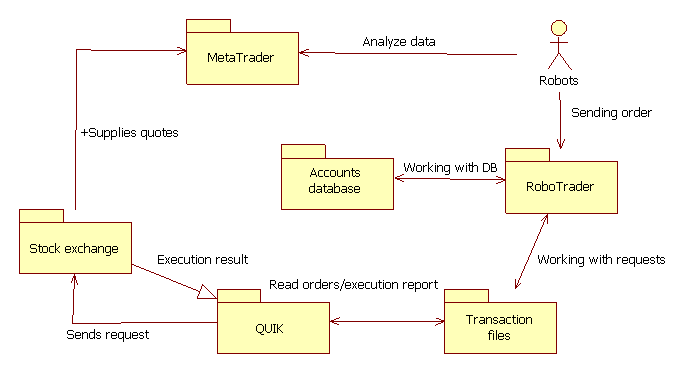 Once an account has been established, traders must use the "Client Login" on the TradeStation website to access the download links. Enter the username and password of the account and click "Login." "Deciding whether NinjaTrader or Tradestation is better is similar to deciding which kid is your favorite. You just can’t do that! These two programs are the only trading platforms that all futures traders use." "These two platforms are the only ones I have been using for my roughly 10 year day trading career. If you trade stocks or options then you have different possibilities including the programs that the big brokerages offer. Big brokerages are much too expensive in comparison to the brokers that are tailor made for the futures market. This is the reason why most futures day traders and professional day traders use one of these two platforms." "Choosing between the two has gotten more hard over the years due to the fact that Ninja Trader is new to the charting realm of trading. NinjaTrader use to be known as just an execution platform but recently taken a significant dive into charting." This is the documentation and code (Tradestation) for Demark indicators (attached).